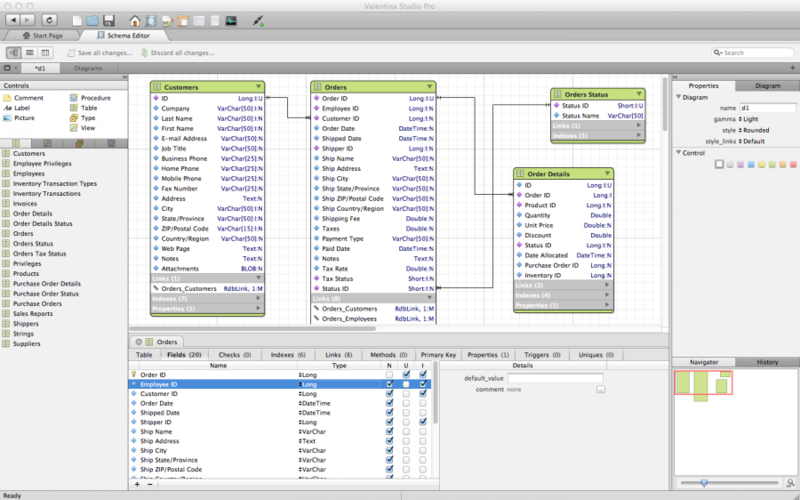 Valentina Studio is the best way to transform your data into meaningful information; create, administer, query and explore MySQL, Postgre MariaDB, MS SQL Server and SQLite databases. The UNIVERSAL version of this product is a single seat license that works on Windows, Mac OS X, and Linux. 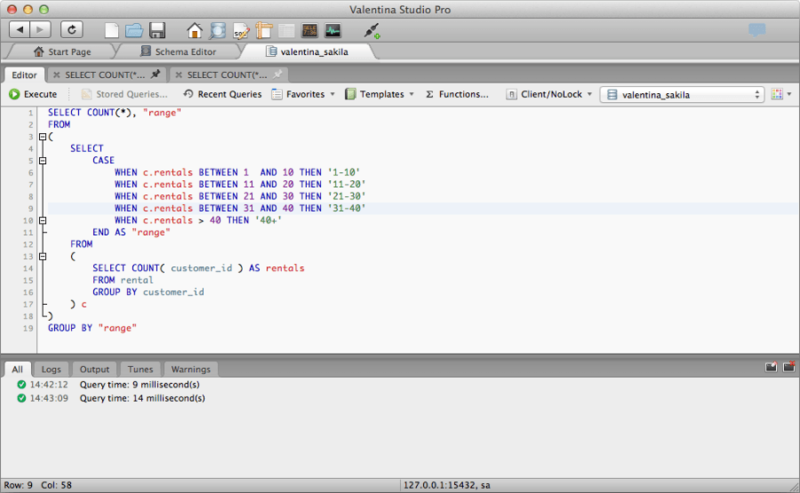 Expands what you can do with Valentina Studio with new features and advanced tools. Data Transfer to copy records between different databases. Datasources can be mySQL, PostgreSQL, SQLite, Valentina DB. MS SQL Server and ODBC. 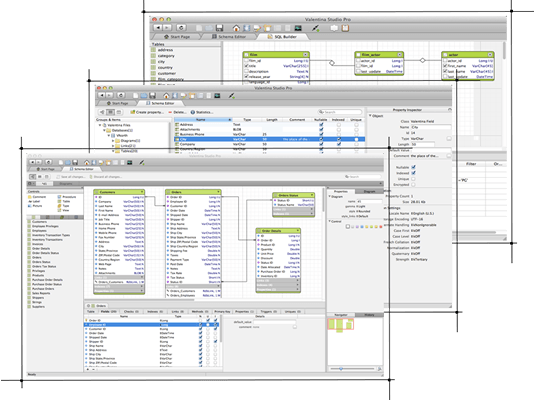 Diagram Editor supports powerful forward engineering features. 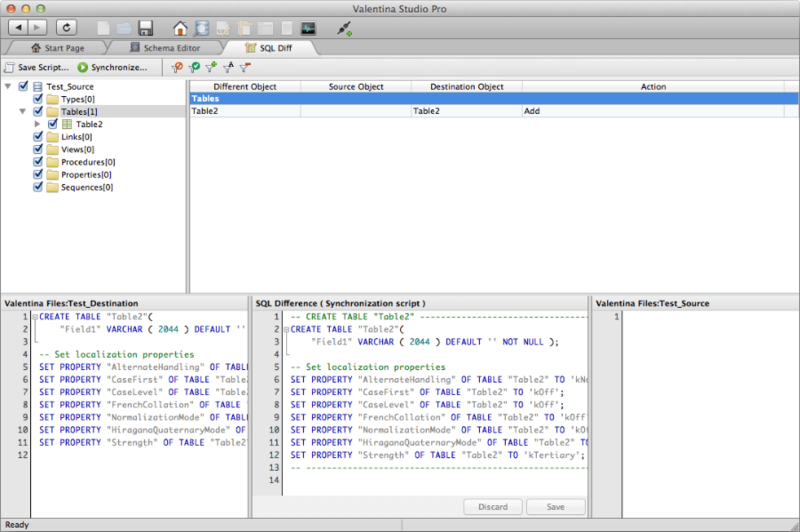 Generate SQL scripts for changes and new objects. Report Editor transforms queries into visually stunning enterprise reports with full suite of design elements: charts, graphs, barcodes, grids, images, html objects, labels, text boxes and more. 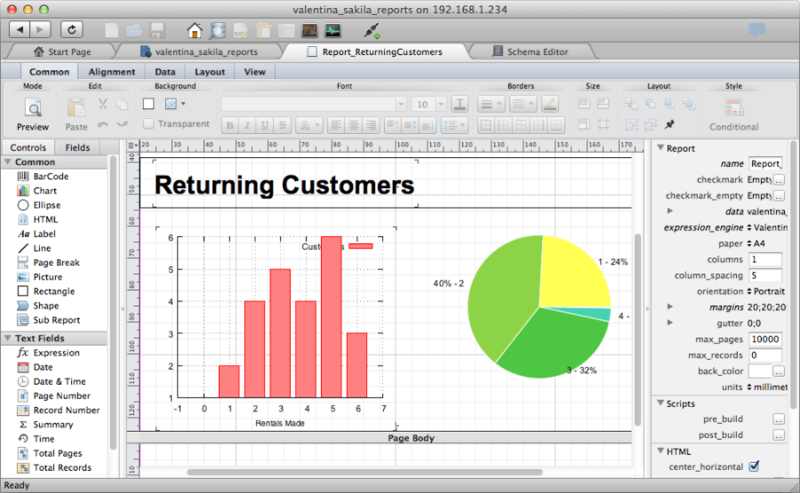 Reports are saved into Valentina Projects - run Valentina Projects locally with Valentina Reports ADK or serve reports from Valentina Server; export reports as PDF, images, text. SQL DIFF helps you locate and track changes between two data sources; you don't need to spend hundreds of dollars on a separate utility for SQL DIFF!